New Marriner Mermaid Spot have arrived! See spots this winter with our new Mermaid collection. Marriners have gone to great lengths to find you these little Spots to help you beat the Winter blues. This sweet collection of Double Knit 100g Balls are sure to spark your imagination and creativity during these long, dark nights. 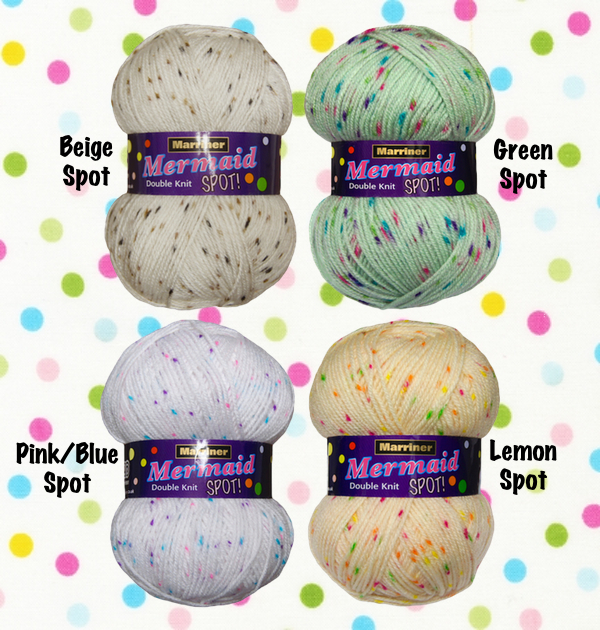 The new selection consists of Beige Spot, Green Spot, Pink/Blue Spot and Lemon Spot. At the unbeatable price of £1.50 per 100g ball this is a must have this winter. Until next time, Happy Knitting.